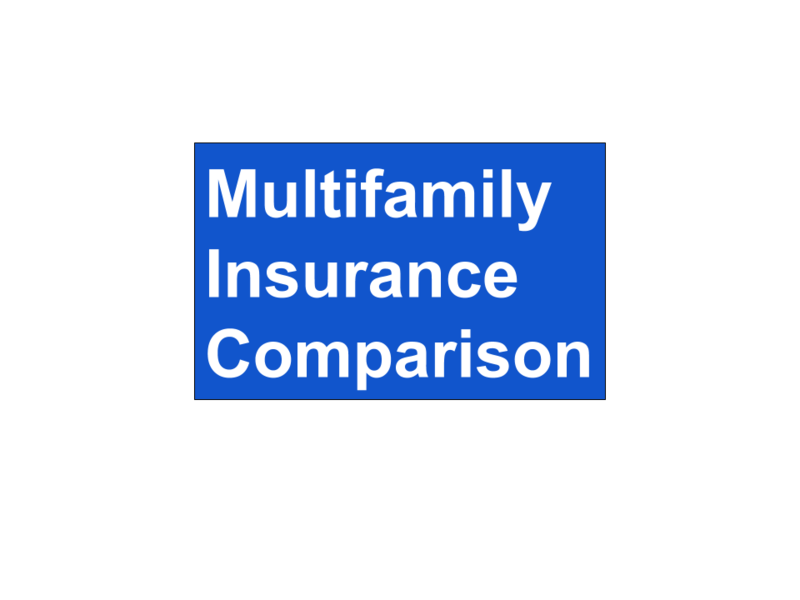 Multifamily asset class for investors are graded by letters from A,B,C, and All Other. John Wilhoit is an author, investor, asset manager, multifamily expert and a returning guest. Check out John’s prior appearance CREPN #27 to learn about market size. In this episode, John breaks down the difference between the asset class grades and the characteristics of each. The designations are primarily reference points for institutional investors investing in properties with 150 – 250 units. There are exceptions. In markets with strong demand, smaller boutique properties with fewer units can be considered class A for the marketplace, but would be regularly excluded from institutional investor consideration. The factors that define the property class designation include age of the property, amenities offered, rents charges, level of service, safety of the neighborhood, uniformity of the property and more. Located in communities of 50,000 and more. The newest property in the area. Features will include the greatest level of amenities in the marketplace; concierge service, dry cleaning pickup, vehicle service, etc. Construction finishes will be of the highest materials currently in use, “Best in Class”. Rents will be the highest in the marketplace. Properties are located in desirable neighborhoods. Older properties that are located in a higher desirability location that command a higher rent are referred to as “legacy” properties. Age of properties are twenty years old and older. Properties are well maintained and have little to no deferred maintenance. Rents will vary depending on the market. Located in a safe and desirable neighborhoods. Tenants tend to be more salaried professionals and more stable income. Turnover will be less than that of a “C” class property. Features will vary based on the ownership. Tenants are normally hourly workers and live pay check to pay check. Tenants credit tends to be marginal. Properties will have deferred maintenance needs. Is Water Damage Covered or not? Water falling from the sky is rain. Water rising from the river is flood and NOT COVERED. Water bursting from a pipe is COVERED! If you have ever read an insurance policy it’s easy to want to make the pain stop. However, if you have a claim, it is important to know if you have coverage, or not. On Joe Fairless Best Ever Show Podcast #746 I was the guest and we discussed damage caused by water. Unless through one of these the result is a fire, explosion or sprinkler leakage. We also talk about the EXCLUSION of Underground pipes or drains. Backup of Sewer or Drain. Flood is its own policy. If you are concerned about Flood or your property is in a flood plain, you will need a Flood Policy. The flood maps are currently being redrawn, and many properties that were previously thought to be not in a flood plain have found they need flood insurance. Get an elevation certificate that determines you are above the floodplain. New IRS Repair Regulations require property owners to account many repairs that were previously an expense must now be capitalized. What does this mean for a property owner? How can you easily determine what qualifies for an expense versus a capital improvement? Would you like a simple flowchart to determine an expense from a capital improvement? I talked with Jonathan McGuire of AKT CPA’s for an in depth look at what changed and how can property owners easily account for the new repair regulations. The ruling stems from a 2003 Federal Court case FEDEX vs IRS in which FEDEX argued the engines were not a Unit of Property, UOP. The court found in favor of FEDEX recognizing that the UOP was the jet and the engine was a part of the whole. The repairs were incidental and necessary expense. The case changed the way real estate owners are required to account for repairs that were previously allowed as an expense. To determine an expense from an improvement, there are a number of questions that must be answered. How much can be expensed for routine maintenance? De Minimis Expensing Safe Harbor Election allows the taxpayer to make an election to expense amounts under a “safe harbor” amount which are not required to be capitalized. The current safe harbor limit is $2,500 for routine maintenance. What is a Unit of Property? The unit of property is the building. The building is comprised of parts. The ruling requires property owners to capitalize these 9 specific structural component systems. Replacement of these component systems are required to be capitalized. Structural Components – roofs, walls, floors, windows, doors, etc. Betterment: Work that “refresh”, expands or improves the property. Adaptation: Work that changes the usage from one class of operation to another. Restoration: Replacement or rebuild of a component or multiple component parts. The new regulations have created a Tax Rate Arbitrage that can save, generally, a minimum of 5% when disposing of partially depreciated unit of property. ie: A building purchased ten years ago with a 39 year depreciation schedule. Ten years in, the roof is replaced. The 29 years of depreciation remaining on the the worn out roof can be expensed in the year the replacement roof is capitalized. For more information, check out Jonathan’s article published in The Tax Advisor magazine put out by the AICPA: http://www.thetaxadviser.com/issues/2015/dec/long-term-tax-benefits-of-partial-disposition-election.html . CREPN #40 – Why do Tenants go without Renters Insurance? Why do Tenants go without Renters Insurance? Get a License, the law requires you have insurance. Get a Loan, the Lender requires you have insurance. Lease a commercial space, the Lease requires you have insurance. What does it take to rent an apartment? Multiple surveys of Renters report that somewhere between 56 to 72% of Renters DO NOT purchase Renters Insurance. On multiple occasions, I have asked insurance adjusters and firemen what percent they see. They believe the number is as high as 95% go without insurance. Most people’s belongings are often worth more than they expect. With furniture, electronics, microwave, appliances, clothing, photos, sports equipment, books, and jewelry; you can easily begin to reach $20,000. If you are not making it clear to tenants in writing at the beginning of their residence, don’t be surprised. Third party liability is typically included for Property Damage & Bodily Injury. Q: Why do so many tenants not purchase Renters Insurance? A: Landlords are not requiring Tenants to purchase the coverage. Q: What happens when a tenant catches your building on fire? If your tenant has Renters Insurance, and the Rental Agreement holds the tenant responsible, the Renters Insurance will pay for repairs to your property. Increased cost of Insurance due to the claim. 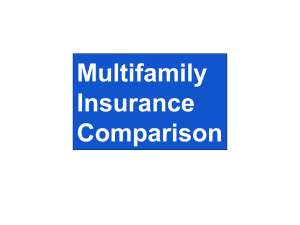 If you own multifamily property and do NOT require Renters to carry insurance, I believe you need to ask yourself why. If you own more than 100 units, there is an easy solution. CREPN #39 – What are your Commercial Real Estate Communication Options? What are your Commercial Real Estate Communication Options?continue to change. Until recently, if you wanted Telephone, TV & Internet, you might have had three different providers. Now all three can be provided by anyone of a number of different companies throughout the world. Today, most homes have more bandwidth coming into them than the SUM of bandwidth NASA had twenty years ago. Recently I spoke with Jon Arnold of JA Communications Group Inc about the current and near future for Communication Options in Commercial Real Estate. Cell phones and wireless devices can confuse consumers to thinking there is not a need for a connection to a landline. However the volume of data that is transmitted is continuously increasing and demanding faster transmission rates for more volume, requiring bigger solutions. Through an Agent representing multiple communication companies. The Agent model provides the same cost to the consumer as the direct sales model. The Agent has access to multiple communication companies which allows the agent to assess the client needs and offer a communication company that is a best match. Guaranteed bandwidth, guarantees the amount of bandwidth provided. There are multiple types of service available. Before selecting a service, it is best to have an understanding of what your needs are. What are your needs not just today, but allowing room for growth. If your needs change, is the system adaptable to change with the client needs. An agent can help his client with this. The demand for bandwidth continues to increase. CLICK here for the Benefits of working with a Telecom Communication Agent for your Commercial Real Estate Communication needs. JA Communications Inc, is an Agent for Telarus, a master agent representing 40+ First Tier Communications Companies nationwide. When you invest in Real Estate, you know that when you sell, you have to deal with Capital Gains Taxes. The Deferred Sales Trust process works similar to a 1031 Exchange with the use of a neutral 3rd party intermediary. 1) Buyer & Seller come to agreement on the sales price. 2) Seller transfers the property into the Deferred Sales Trust. 3) The Trust Sells the property to the Buyer. The proceeds are transferred from escrow to a qualified 3rd party, “accommodator”. The Seller does not take possession, nor taken “constructive receipt” of the sale proceeds. During the first 45 days, after sale, the Seller is able to pursue a a suitable property for 1031 Exchange. If no suitable option is found for a 1031 Exchange within 45 days, the 1031 Exchange option expires. This is referred to as a “Failed Exchange”. Given that “constructive receipt” has not occurred, the 3rd party “accommodator” can transfer the sale proceeds directly to the “Deferred Sales Trust”. The proceeds include the gain. But since “constructive receipt” has not occurred the taxes can be deferred if held in a “Deferred Sales Trust”. Once the proceeds are in the Deferred Sales Trust, the investment options are fairly liberal. The investment returns pass to the Seller as “Ordinary Income” and are taxed accordingly. If the Seller elects to receive some or all of the Principal & Gain, the Seller will be required to pay the prorated Capital Gains. Ability to Sell Real Estate Investment at record highs. The Capital Gains are due upon liquidation of the the Trust, if when that occurs. Alternative Financing is not just for the desperate. It is available in many flavors and forms. Where conventional financing stops, Alternative Financing begins. My guest Brian DeLucia with Arrivato LLC, provides a look inside the world of Alternative Financing provided through private lenders that fills the gap created where Conventional Financing stops. Where does Alternative Financing capital come from? Private funds raised through Ultra High Net Worth Families and Family Offices looking for a return greater than that available through conventional markets and old school brokerage opportunities. Intermediaries like Arrivato LLC, maintain exclusive relationships with the investors and works to understand the objectives of the investors. This along with a firm understanding of the borrower and the property involved create the opportunity to make the match between investors and borrowers. Does Alternative Financing equal “hard money”? Hard money is typically associated with rates far above the advertised rates, 10% and more. Alternative Financing is often referred to as “semi conventional” with rates between advertised and Hard Money rates. So if the bank turns your deal down, are you out of options? Again, not necessarily. If the bank, your family & friends are not able to lend you money, Alternative Financing may be the answer. Most projects financed through Alternative Financing are bankable, except for one or more minor circumstances. A local bank may be concerned about its reputation in the community, and therefore may decide that the physical appearance of a property would cause harm to the bank reputation in the local community as a responsible lender. If this is the case, the local bank will likely pass on the opportunity to lend. Recent credit challenges of the borrower, if the property is considered stable. Type of property; construction, location, or limited usage. This type of situation is an excellent opportunity for an Alternative Financing. Alternative Financing allows the borrower to obtain the financing needed to purchase or refinance the property. If the issues that kept the borrower from conventional financing pass, the borrower will likely be able to obtain conventional financing at the end of the term. The first deal is the toughest. Nobody wants to do your first deal. Do you know what you are doing? Nobody including you know, and nobody wants to find out. So what if you don’t have experience in Real Estate, have no deals under your belt, and still want to get in what do you do? If nobody will give you a chance, how do you get the first deal done? Everyone knows someone in Real Estate and has heard the success stories, and thought, “I need to do that”. But who knows the hard work it takes to get in, find capital, find a deal and make it happen? How many have done their first deal? To hear how Jonathan Twombly made it from an unhappy New York Lawyer through his first deal and now a successful Real Estate Asset Manager, check out my interview with Jonathan Twombly of Two Bridges Asset Management. Jonathan’s story is full of all the behind the scene noise and hurdles that new investors face and why so many are unable to get in. Jonathan’s relationships lead him to multiple partnerships enabling him raise capital, find the professionals that lead to the off market opportunities that are saved for proven investors. Jonathan continues to find that relations with professionals are key to success in real estate. Knowing the data can go a long way to minimizing the risk involved. Is the area population growing? What is the local industry? What is the Unemployment rate for the area? Are local employers looking for employees? What is the demand for housing? What is being built in the area? Are there multiple opportunities that you can invest in to take advantage of economies of scale? A, B, C, D class real estate? The news is full of stories about how new class A lifestyle towers are being constructed all over. What are the new projects for working class housing, class B & C? By looking at the data, Jonathan was able to identify an area with strong population growth, good employment opportunities and no new multifamily construction projects in the plans. Knowing the area, and having the first deal under his belt, Jonathan is now receiving calls from local brokers looking for buyer of off market deals, and providing the needed information in order to grow the portfolio. The ability to add units in proximity to the first property have provided the opportunity for additional savings and economies of scale. Newbie to New Pro in Just 21 Days! If you are currently required to purchase Flood insurance, the following is a must listen & read to learn how to save on Flood Insurance. Flood is excluded from any standard property insurance policy. Since 1968, Flood Insurance has been made available through the National Flood Insurance Program, for communities agreeing to participate in the NFIP. Flood Insurance is a requirement of any mortgage against a property located in the 100 year Floodplain if the property has a finished first floor is below the base floodplain elevation. Flood Insurance Rate Maps, FIRM, provide determination of the Flood Risk through a series of zones. All zones starting with “A” or “V” are considered the highest risk. The Flood Insurance Reform Act of 2012 required that the Flood Maps be updated in an effort to address areas of repeated flooding, and provide an accurate assessment of the risk and the premium needed to make actuarially certain that premiums were adequate for the risk. The Flood Map updating uses LIDAR technology which is accurate within inches compared to the old system accurate within feet. This new information has placed many properties that were previously above the base floodplain elevation are now under the base floodplain. The change in elevation is resulting in significant increases is Flood Insurance cost to the property owner. Per Steve Gill, owner of Flood Risk America, as many as 50% of the maps inspected by Flood Risk America are inaccurate regarding the building’s first finished floor elevation at the address. When the maps are wrong, providing a Letter of Map Amendment (LOMA) to FEMA can reduce the Flood Insurance cost as much as 80% or remove the Building from the Flood Zone. Flood Risk America charges a fee equal to 50% of the first year savings, while the property owner continues to save on going. Steve Gill of Flood Risk offering a discount of 20% off the normal fee. To receive your FREE analysis and 20% savings, click the link.